Protect one species and resurrect a whole forest. Ann Graeme shares her personal stories of native New Zealand birds and insects that have returned after community pest control is carried out for another species. She calls it the “Lazarus effect”. It rained in the night. My pack is heavy with rat bait, and I am following East 5, a bait line marked with pink ribbon, through the forest. Up, down, up the bank. It’s steep and slippery, and I pull myself higher, clutching the tree trunks. There’s the bait station. I open it, pull out the wire, slip on the baits, close the lid, and look about for the next station. It’s far below, its pink ribbon fluttering. I’m tired and wet and muddy, and I can’t help thinking, “Is it worth it? Am I doing any good?” Then, as I put my hand on a fallen log to heave myself over, I see an insect. 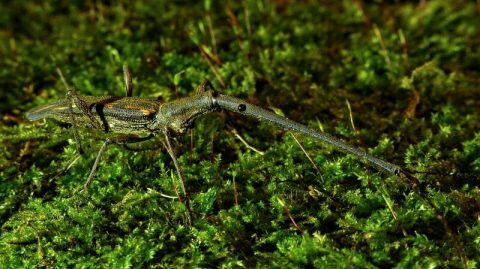 Not just any old insect but an amazing and bizarre insect – a giraffe weevil. It looks at me with its beady eyes and waves the little antennae at the tip of its ridiculously long snout. Those antennae show it is a male because female giraffe weevils sensibly have their antennae further along the snout, out of the way for digging. Giraffe weevils are not rare, but they do make crunchy mouthfuls for a rat. This weevil, brazenly clambering over a rotten log, confirms my hope that our rat control is effective and that the bait I am carrying is giving the native plants and animals a better chance of survival. Yes, it is worth it, this work, month after month, by hundreds of local volunteers in dozens of forest restoration projects. As the pests are beaten back, seeds sprout, shoots appear, and birds, lizards, and invertebrates can emerge from the shadows. Here are some of their stories. More than 25 years ago landowners on the Russell peninsula, in Northland, engaged Laurence Gordon to protect kiwi living on their properties. 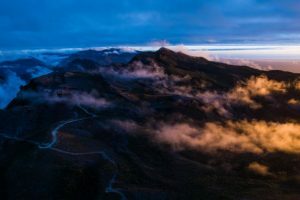 Kiwi flourished under his pest-control regime and, since the turn of the century, his work has been enhanced and extended by the Russell Kiwi Protection Trust, an initiative of Russell Landcare Trust. Now there are more than 500 kiwi on the peninsula, and birds can be heard calling in the township of Russell. And it wasn’t only the kiwi who benefited from pest control. To the residents’ delight, they began to see tomtits, which hadn’t been seen for decades. The little birds can rear their chicks more safely now there are few rats, stoats, and possums to raid their nests. In 1995, North Island weka, a threatened species, were released on the peninsula. They were captive-bred birds reared by Forest & Bird members. They too have prospered and now number several thousand. And these are only the tip of the iceberg. 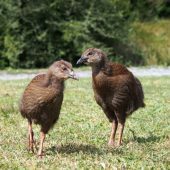 No doubt a host of other unseen and unnoticed native animals are flourishing thanks to the pest control intended to help the kiwi. 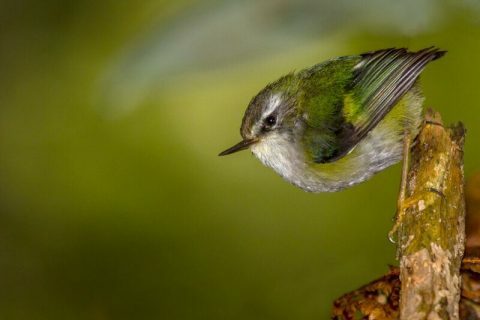 Like tomtits, the tiny riflemen are vulnerable to nest-raiding predators. 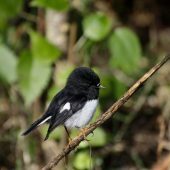 Riflemen had not been recorded in the Kaimai Range, west of Tauranga, but seven years after pest control began in nearby Aongatete, they turned up in the forest there! A few birds must have been surviving all along, and now pest control has allowed them to breed and multiply. Riflemen too are being seen again in the Talbot forest of South Canterbury, and so are tūī.